← Arsenal-West Ham: Match Preview, Predicted Line-up. Mid-week Derby Tests Two Teams in Trouble. THE BOYS GOT THE FUN BACK IN THEIR GAME. The referee denied us two stonewall penalties. Infringements on Walcott and Monreal respectively. Yet we still ran away with a 3-0 spanking of West Ham. A game in which non of our players was poor and the team as a unit oozed once again with confidence. MARTINEZ: Ospina was not missed. Cech was also not missed. I don’t know about Wenger, but I now have a selection headache for the No.1 position. BELERIN: Played with greater intelligence. Particularly loved that his run into the box that invited Sanchez’s chip. Would have been a sweet goal. MUSTAFI: Lion hearted. He is a candidate for the captain’s armband. However needs to learn how to incorporate patience in his urgency. His attempts at in-between the lines passes lack guile and as such invariably gift the opposition the possession. Don’t get me wrong, the spirit behind it all is outstanding and he is on the road to being one of the very best. GABRIEL: He was so charming all day. 90 minutes undiluted focus. If you had looked at his face, you’d have thought that there was a war on. But wasn’t there? He understands perfectly when a no-nonsense approach is required. Koscienly was not missed. Not in the least. MONREAL: The quintessential professional. An unobtrusive player, reads the game so well. ELNENY: Gave our midfield and as such the team a calm and matured rhythm. I suspect few would have realized his critical role in getting the team swinging again. 97.2% pass completion stats is what Wenger would call security in possession. XHAKA: if we are talking about the body of the game, please stand up for the man of the match. His spatial sensing is top notch and his long range passes are all guided. WALCOTT: The captain’s armband was wrapped round the arm of the man who on the day deserved it. His goal was so clinical. Ozil: A goal, an assist, eyes at the back of his head, an uncanny understanding of space, that was the Ozil that was on parade. Little wonder he was voted the MOTM. SANCHEZ: The perpetual motion machine. Don’t be confused by his turnovers, Sanchez is a high-risk-high-dividend player who is begging his mates to tune in more finely into his frequency. You saw his back heel to Ozil’s assist for Walcott’s goal. That is where he is and the goal came because Ozil is well tuned to him. WELBECK: Welbeck is Wengerball and he is at 90%. We can’t wait to see him at 100%. SUBS. Something tells me that lovely Giroud’s goal should be “Classic Giroud”. He should operate more along that right corridor. I salute the Ox’s trademark run for his assist. Perfect soil for Ramsey who came in after the boys had started having fun. Ramsey loves football. 12TH MAN: Sorry Ozil. You are dethroned. MOTM goes to the 12th Man. Thanks for the review, PE, and your enthusiasm is clear for all to read. Hey PE… Indeed, your enthusiasm is in fine form. I had a screwed up day so the noon (my) time kickoff messed me up. I’ve only now just watched the first half of the match but I got to see the 2nd half in real-time. Overall, I liked what I saw. When I tuned in I was excited that we were keeping a clean sheet and that we looked very much on the front foot. This morning I see that we worked our way into the match and that we might have been ahead at the break if the referee wasn’t so obviously biased against us, if DW hadn’t whiffed on Alexis’ cheeky FK and if their defenders weren’t throwing their bodies around and blocking our shots at the point. They kept at it early in the 2nd half, and, maybe if I had been watching the whole thing as it unfolded, I would’ve been worried that it was gonna be “one of those days.” Like you identify, the supporters seemed to be in good voice, which also served to fortify my confidence. Then the Ozil goal went in, and, despite a little fight back from WHU, once we survived their FK (after a Mustafi yellow) and Carroll got taken off, I thought the only thing that might undo us could be the ref and/or a bunch of bad luck. I am sure PE has titled the article a bit tongue-in-cheek; just to make the point that we may have crossed the confidence hurdle we’ve had since losing to Bayern in the first leg of that CL last 16 game. I definitely agree we have to go one game at a time, from now on. Somehow, I am a bit more optimistic that if we can achieve wins in the next 3 games (including the FA cup semi, that is), we can go on a good enough run for 3rd place. I too was waiting for the report from our man at the Emirates. I listened to the match on Arsenal player, where there is always quit a lot of ramblings, so its sometimes difficult to gauge what really went on. I saw the highlights on Match of the day, later but once again you only see the highlights. So here is my cobbled together assessment warts and all. Firstly great result, no matter who you play these days no games are easy and we are gaining momentum. That said as far as I can make out West Ham were pretty poor, so I don’t think we should go overboard on excitement. Lets just enjoy the victory for what it was. By all accounts the first half wasn’t that great, but much improved after the break. Giroud has to be given a chance (again) if we play to his strengths he adds a lot of scoring potential to the side. A lot was said about Xhaka before the game. According to Arsenal player, he covered the most distance, was our fastest player (???) and apparently passed the ball very well. So well done Granit good to see. the commentators add however that this was following a number of poor performances including the City game. We have games coming thick and fast now and we will need the squad to perform across the board. I imagine we are still a little mentally fragile and will need to be at their best to get a top four finish. So a big step in the right direction, but a little early to start celebrating. Lastly why was Theo skipper? It was almost as if Wenger was saying it doesn’t matter who has the armband? Shame about the Spurs result, but as much as it pains me they are a very good side with a winning mentality. Very impressed with Martinez, even accepting the opposition who were very poor, but despite it being a quiet evening he looked the part. Very confident in his handling and with the ball at his feet, made a couple of good, sharp saves after being inactive for such long periods. Paulista had a very steady game, kept Andy Carroll in check and saw him off. Liked Mustafi alongside him, they dovetailed very well. From a crowd perspective it was quite lacking in atmosphere in the first half. I don’t wanna keep on banging on about it, but there is a tired feeling among the fans, you know, we’ve been here before, but it perked up after half time, we got a break with the West Ham goalkeeper making a horlicks of his attempted save from Mesut, and it was easy peasy after that. Great goal by Giroud and we were in party mode after that, it’s been a long time since we could enjoy an EPL game like that. In any trouncing, it is a forever debate whether the trouncing is a result of one team being so poor or the other team being so great. If we talk about the goals for example, I saw three great goals particularly the 2nd and 3rd goals. Ozil’s first goal was a curled shot that hit the ground in front of a the diving keeper. Such shots are very clumsy to handle. The 2nd goal came from a beautiful run into space by Ozil, a creative back heel by Sanchez, a pull back by Ozil and a first time strike by Theo. The 3rd goal was from a dazzling run from Ox, a cut back from Giroud followed by his exquisite curled shot. What I saw were great goals not poor defending. The overriding prejudice atm is that we are so poor that nothing good can come from us. Yet we are still in the hunt for a top four finish and all our rivals are viewed in awe. Jaundice eyes by these pundits. Much better if we don’t look at things through their eyes. Elneny is a unique defensive player. He is not tops in tackles but he is very good in closing down and his uniqueness is that he has a way of “recycling” himself so that even if the ball gets past him, he shows up again and again and again. He destroys by means of his cluster bombs, not with one big bang and supports his “destroyer” role with his security in possession. This security is not only when he is in possession but also when his mates are in possession, achieved by his instinctive ability to offer himself for a pass. He has a very clear idea of what he is there to offer which makes it easy for his mates to understand him. That’s what gelling is all about. If there is one man in our squad apart from Santi, for beating the high press, it is Mo. His expertise and “limited” ambition helps create the space that Xhaka needs to excell. Ozil dropping deeper against W. Ham and offering an extra passing option helped in no small measure for our double pivot to perform very creditably and alter positively the overall performance of the team. and the super subs that include Giroud, Ox and Ramsey. Digressing a little bit, if what I saw of Gabriel against West Ham is true (am still rubbing my eyes), then I wish to offer my sincere apologies to him and Wenger because I had been very insistent that he was a tragic buy. If what I saw is really true, then we can give a little more space for our Kos to grow old gracefully. Hahaha! Gabriel has suffered for just appearing clumsy and not so sure-footed in possession, and also for rustiness when he only gets a shout due to injuries to 1st teamers; but he has always been a proper defensive barrier. Very few reputable strikers do well when they come up against him. Diego Costa (needed to cry like a baby to get him sent off before he saw any room), Aguero (didn’t get a sniff after he came on), Lukaku (I recall a real battle between them, in a certain game vs Everton). He is also one for safety first hoof-ball. I have never had a concerns with him coming on for Kos, when he gets injured in games, only knowing our “playing out of defense” style will suffer a bit. He has a good leap and is able to commit niggly fouls without getting booked because refs feel he is only clumsy. It is left for his defense partners to understand his style and adapt to it for the good of the side. I still feel we can make 3rd, at the very least, if we carry on with this momentum. Elneny is a great player and it battles me how little he is used by Wenger… if only he had a £40m price tag… I really believe that the combo of Xhaka-Elneny-Ozil is the future, even if and when the Saint of Spain returns. Mane is out for the rest of the season, so that will impact massively on the Liverpool attack. Apologies TA once again I have killed the blog. With no game until Monday I find myself a Watford, Hull, Stoke and Sunderland supporter for a couple of days. Sadly will have to hope Chelsea beat Bournemouth because I couldn’t stomach Spurs winning the league. Looking at those games, it do make you realise how good it is to be a Goonereris. Hi Retsub, it’s a beautiful day out here in Essex. Seems that Chuba Akpom is having a difficult time on loan at Brighton. Apparently he has been jeered by some of his own fans following some average performances, reminds me a bit of Bellerin when he was at Watford when the Hornets fans didn’t rate him that highly. Wonder what they think now of our £40m rated right back? Marseilles sniffing around Giroud, would Wenger cash in on his 30 year old centre forward? I suppose if the offer was big enough, he isn’t getting any younger and he isn’t getting much game time, so it could be one to watch this summer?! 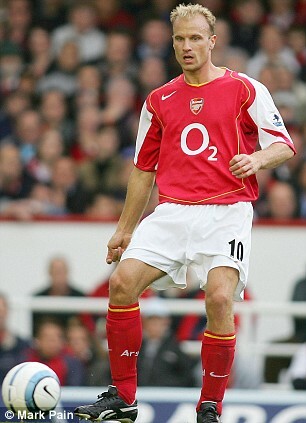 Retsub, when did you go to your first 1st team game at Highbury? I can’t actually remember the first game I saw at Highbury. I am going to guess around 1967/1968. The very first game I ever saw was West Ham v Oldham a cup replay at Upton Park. I hated it, a grotty ground with stanchions all over the place. I have no idea why my Dad took me, he was staunch Arsenal. A good friend of mine is a Brighton fan and he told me the other day, he has never seen a Brighton player get booed as much as Akpom. He did also say that other good players has flopped at Brighton he mentioned Jessie Lingard being hopeless. He thinks the fans get the impression that some of the premiership loanees think that Brighton are below them. My first game wacArsenal vs Leicester, 1966-67, although I’d been to watch the stiffs a few times prior, can’t tenner tbh but it was probably around 64/65’ish. We lived between Newington Green and Dalston, so that was quite local. Yeah, I’ve seen Harry Cripps in the flesh and a very young Gordon Hill at Millwall. I didn’t see Baker and Eastman either, just missed them, Bertie Mee was just beginning to build the Double team when I started going. Just came down the old apples and pears to answer the door to my Spurs supporting friend. I could tell by the look on his boat race that they had won. I was going to punch him in the mince pies, but let him off. He apwanted to go down the rub a dub dub and then a ruby Murray. I said Gor blimey it’s a bit early for that Etc etc. Gawd blimey Retsub me ol’ china plate, ‘aving a ruby with a spud? Kev, When we lived across from the tennis courts at the top of the Highbury Fields my boy was just 4 yrs old so we would often set off (walking and then riding on my shoulders…) in search of playgrounds and parks… In fact, we never found anything to rival the one at the foot of the fields although the pirate ship in the Lady Diana playground (Kensington Gardens) was a fun change of pace. 17tino, Newington Green was probably a 20/25 minute walk from Highbury Corner. Dalston was bit further, it’s quite a good area now for restaurants and nightlife, a bit different from when I lived around there. 2 games in hand and 7 points behind Man City. Man Utd are one the same stats as us with a slightly inferior goal difference. Another reason it’s more fun to think back to my sojourns around your fine city a decade ago. One of the best (on a sunny day…) was taking the tube to the Baker Street station, then walking through Regents Park and then along the canal–through the Zoo and up to Camden Market–before following the canal a bit further and then angling past Caledonia Park and into our neighborhood by way of Paradise park (good playground) and home. Another good game by Super Jack today. Very Xhakaesque. Really hope he comes back and competes with the Swiss holes in the cheese finder for a first team spot next season. Xhaka-Jack, Eleneny-Santi, Ozil-Ramsey-Iwobi, with Coquelin as extra steel if and when required. That’s depth, core blimeys! Yes 17tino, I am indeed in favour of change, but I’m not sure our owner shares that view and probably won’t as long as the club turns a healthy profit. I believe there are elements in the Boardroom who support change, but they have no power as Arsene is accountable to only the owner. I believe that there will be changes in the Boardroom before next season begins. I cannot see where Arsene is going to find the changes needed to make Arsenal contenders again for the EPL. Between 1953 and 1971 Arsenal were an irrelevance as far as he League was concerned until Bertie Mee and Don Howe inspired our club to end those 18 years in the wilderness. 18 years is an enormous amount of time for one of the three biggest clubs in England and that period was borne out of an inertia from those in charge.